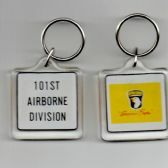 You are Purchasing a 101st The Screaming Eagles Key Ring. The size of the Key Ring is approx 38mm x38mm.The Picture is on both sides of the key ring, Would make a great gift, This item is made in the United States of America. 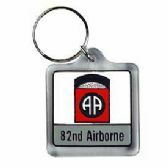 You are Purchasing a 82nd Airborne Key Ring. The size of the Key Ring is approx 38mm x 38mm.The Picture is on both sides of the key ring, Would make a great gift, This item is made in the United States of America. 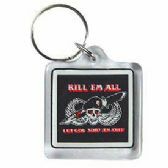 You are Purchasing a Kill Them All "Let God Sort Them Out" Key Ring. The size of the Key Ring is approx 38mm x 38mm.The Picture is on both sides of the key ring, Would make a great gift, This item is made in the United States of America. 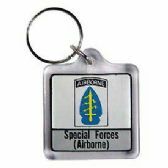 You are Purchasing a Special Forces Airborne Key Ring. The size of the Key Ring is approx 38mm x 38mm.The Picture is on both sides of the key ring, Would make a great gift, This item is made in the United States of America. 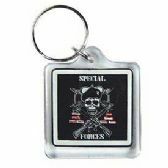 You are Purchasing a Special Forces Key Ring. The size of the Key Ring is approx 38mm x 38mm.The Picture is on both sides of the key ring, Would make a great gift, This item is made in the United States of America.